Frank Underwood is coming back for another “term.” Netflix has renewed their trademark original TV series House of Cards for a fourth season. 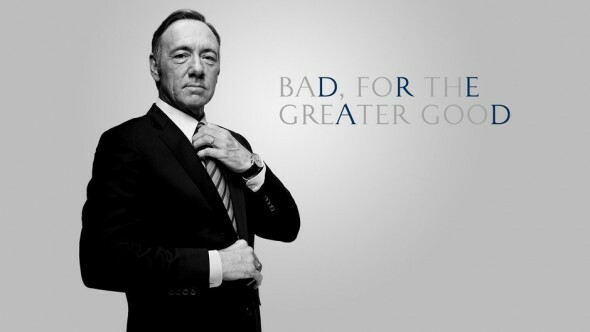 Starring Kevin Spacey and Robin Wright, the new season will debut in 2016 and presumably have 13 episodes. What do you think? Do you still like House of Cards? How long should it run? More about: House of Cards, House of Cards: canceled or renewed? BRillant 4th season should not be so long to wait.as everyday you have to find something else to watch.make money keep it going keep all of us watching.!!!!! Awesome show. It will be difficult waiting for 2016 season. Great acting & storytelling! Keeps you begging for more. Love this show! Kevin Spacey is just brilliant in this show! Love this show! At least 6 more years ! YAY!!! Doing my happy dance! I love this series.. absolutely love this. Thank you ! !